Satte-spring developed the smallest type of spring in the world. It has a measurement of only 14μ in wire diameter and 80μ in external diameter, and even a five hundred of them can occupy a single square inch of space. Only a handful of major manufacturers in Japan today were able to develop microscopic springs that are barely visible to the naked eye, yet Satte-spring, which is only composed of twenty employees, made a significant and unprecedented technological success in the springs’ development. The company has an on-site simple space dedicated for research activities and it is occupied by young engineers who went after developing the world’s smallest spring that nobody has ever ventured into. This transparent plastic container certainly appears empty at a glance, but if you try to take a closer look, you can see a tiny speck of black dot in the container. That black dot is in fact the smallest type of spring in the world. It has a measurement of only 14μ in wire diameter and 80μ in external diameter, and even a five hundred of them can occupy a single square inch of space. Only a handful of major manufacturers in Japan today were able to develop microscopic springs that are barely visible to the naked eye, yet Satte-spring, which is only composed of twenty employees, made a significant and unprecedented technological success in the springs’ development. The company has an on-site simple space dedicated for research activities and it is occupied by young engineers who went after developing the world’s smallest spring that nobody has ever ventured into. 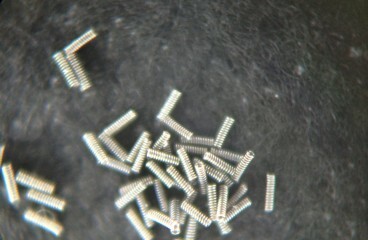 The microscopic spring is made of high-strength ultra fine fibers (Toss Micron) and the spring’s external diameter of 14μ is more like a fiber than metal. The spring reacts quickly to the slightest of external stimulus such as temperature and sudden change in humidity, and even breath. Satte-spring had a difficult time manually creating a creating while looking at it under a microscope and setting it to a coiling machine. Kenji Shinozaki, 28 years old, is the chief project officer and has managed in silently working on the project that is delicate as a spider silk. Riki Sugai, 29 years old, is the company’s senior managing director and runs the company in behalf of the company president who is currently working in China. Both men in their twenties together take part in research and development. The two feel that each one micron opens the door to a different world where normal sizes do not exist. 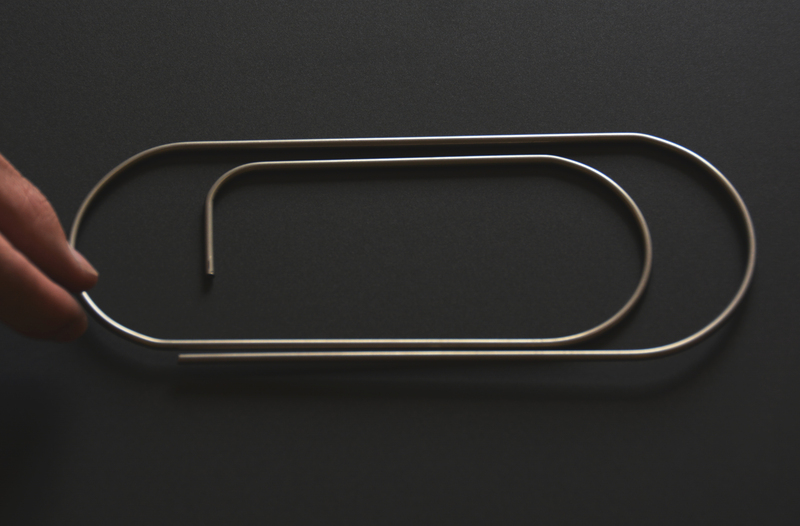 Various manufacturers, including Satte-spring, have made a success in mass producing the world’s smallest springs with measurements of 14μ in wire diameter and 80μ in external diameter. However, Shinozaki and Sugai have a daring goal of decreasing the size of the spring even further. 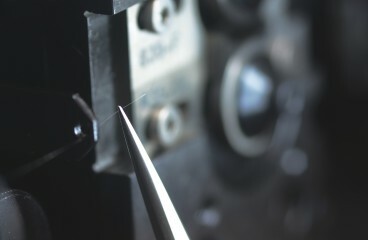 They have taken up the challenge that no one has ventured into by developing the smallest spring in the world with measurements of 10μ in wire diameter and 50μ in external diameter. Established in 1983, Satte-spring has built up a good reputation for meeting all of its client’s needs under its motto: “High Precision, Quick Delivery and Super Quick Delivery”. 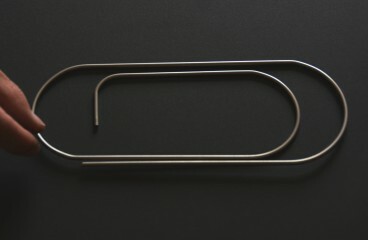 From things that are useful in harsh conditions such as vehicle components and bridge footings, to components for precision equipments such as computers and medical devices, the company manufactures all-purpose compression springs, extension springs and torsion springs for a wide variety of manufactured products. In collaboration with outdoor goods manufacturers, Satte-spring also developed some of the best-selling unique products such as portable spring-shaped coffee drippers. 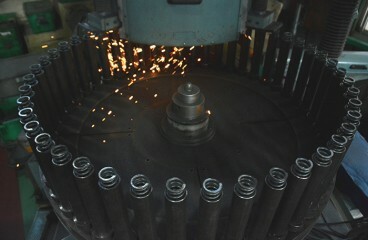 The company also uses coiling machines from two different leading Japanese manufacturers to create its products. Satte-spring strives to gain recognition from stable consumers in the spring industry. The capability to manufacture a wide range of goods is the Satte-spring’s strongest point. In addition, the company has also a advantage in its products that are not only made of difficult-to-process materials such as tungsten and titanium with a wire diameter of 14μ to 12mm, but they also create a difficult balance between materials and shape. While 4 up to 20 are considered as optimal in D/d (average diameter ÷ wire diameter), Satte-spring has managed in mass manufacturing unique-shaped springs with a minimum and maximum D/d levels of 2.3 up to 75. It is all thanks to their own technological capabilities that made the processing of a wide variety of products possible. Satte-spring follows its president’s teachings on the spirit of craftsmanship by viewing springs as its beloved one and by discerning the qualities and characteristics of the raw materials that it uses for manufacturing products. While Satte-spring creates a balance of metals at both ends of each spring with minute precision, it gently processes them one by one. 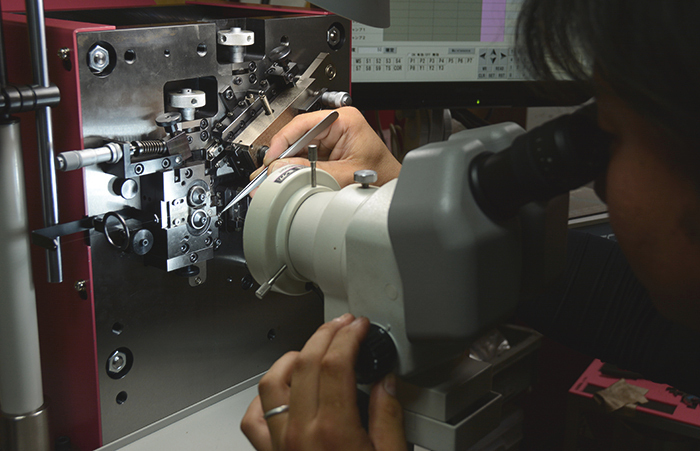 The processing jig, a tool that is set to the machine, particularly plays an important role in the spring manufacturing process. It combines the materials together and a craftsman creates the spring from scratch. The event that triggered Satte-spring to put its effort of creating microscopic springs a few years ago is when it learned about the demands from medical establishments for microscopic springs that are needed to make catheters flexible before implanting one inside a patient’s body. 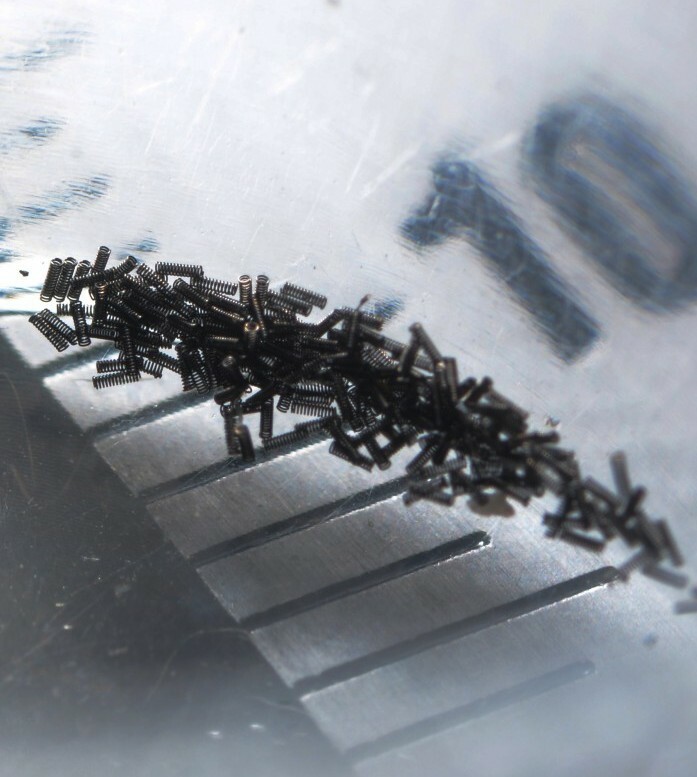 Other than that, microscopic springs play a very important role in carrying the future of technological advancements such as miniaturization, portabilization and performance enhancement of all electronics, such as mobile devices, and electrical components. After the bankruptcy of Lehman Brothers in 2008, Sugai tried to find ways of expanding the company based on his hard look at its future. His observation visit to Germany four years later made him to be moved by towards craftsmen who devote themselves in achieving high precision. The visit also firmed his determination of making his company one of the best in the world. He immediately made preparations starting with a company website makeover of displaying three different languages: Japanese, Chinese and English. He purchased special coiling machines, which are also adopted by various technological development support companies in Japan, and launched the full-scale research and development of the microscopic springs. Only two years have passed, he made an outstanding achievement of developing a world-class and one-of-a-kind microscopic spring with a size of 14μ in wire diameter and 80μ in external diameter. He is now thinking about aiming higher in the future by making more advancements in research and development, as well as putting his strength to the full-scale cultivation of the market. “There are numerous springs installed in machines yet their significant roles are barely noticed by everyone. I even think myself going after the Guinness World Records, but I want my springs to be used since they are our products. The usefulness of the products that we make creates happiness among people all over the world and I want to share that happiness to the craftsmen in our workshop. I would be happy if I served as a bridge between them,” he said, while entrusting his dreams to the small springs. Company Name: Satte Precision Hardware (Kunshan), Ltd.